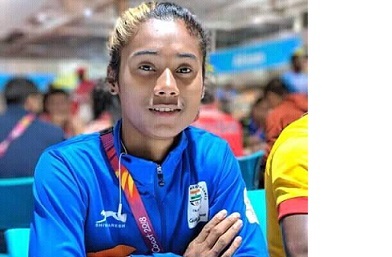 Assam’s sprint queen Hima Das, made it to the semi-finals of the women’s 400m as the fastest runner in the heats on the opening day of the IAAF World Under-20 Athletics Championships in Finland on Tuesday. 18-year-old Hima, a favourite to win gold, clocked 52.25 seconds to win heat number four and lead the time charts. Running at lane number three, Das beat Stacey-Ann Williams of Jamaica (52.71) in the fastest of the five heats. Hima is a favourite to win gold as she is the U-20 season leader in this quartermile event. If the Assam girl happens to win gold, she will become the first Indian athlete to do so in a track event in an U-20 World Championships. At the end of the heats, Hima had the fastest time. In the Commonwealth Games, Das clocked an Indian U-20 record of 51.32 seconds to finish sixth in 400m final in Gold Coast in April. Since then, she has gone onto improving her timings. She lowered the Indian U-20 record in 400m to 51.13 seconds while winning gold in the recent National Inter State Championships in Guwahati.